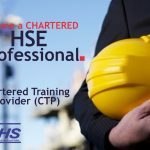 Chartered Institute of Environmental Health and Safety is a Chartered awarding body for environmental health and safety professionals based in the State of Nevada, United States of America. The Institute is a global based professional body offering qualification in environmental health and safety Management and related programs, focused on the membership and certifications. 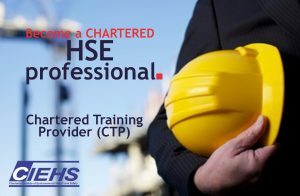 CIEHS is professional society that promotes honourable practice, professional ethics and encourages education in environmental health and safety among environmental health officers, health and safety workers, academicians, technicians, skilled workers and professionals are amongst its members exceeding 9,766. 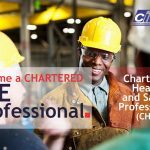 Formerly, known as Society of Environmental Health and Safety Managers (SOEHSM) changed its name 2017 to the Chartered Institute of Environmental Health and Safety (CIEHS). The objectives of the CIEHS include the training and development of individuals and companies in America to attain professional recognition in various fields Environmental Health and Safety Management. The CIEHS memberships is categorized into 6 different grades and open to anyone above the age of 17 years – individuals and companies keen in developing and contributing towards the growth of Environmental Health and Safety Management in America. CIEHS has also organized more than 20 International Environmental Health and Safety Management Conferences (EHSAC) on a biennial basis, and numerous technical seminars, educational programmes, technical visits, and safety awareness programmes since 2010. Collaborations with the Asian Health and Safety Federation, The Society for Environmental Health and Safety, US and local Universities continue to be part of CIEHS’s vision and long term mission to educate, train and serve the health and safety fraternity. The Institute brings unique benefits and international qualifications with the standards expected from such NEBOSH, IOSH and OSHA. To be an authority on Environmental Health and Safety Management and enhance competency, skills for all practitioners and forum for industry and academia collaboration.